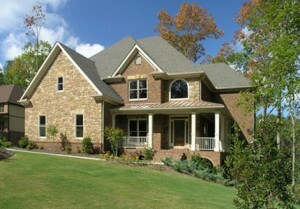 Birmingham Roofer | Birmingham Roofing | Birmingham Roof ReplacementMcGlinch & Sons CO. If you need an existing roof repaired or a roof replacement, look to McGlinch & Sons near Birmingham. We specialize in commercial and residential roofing for any size home or business. If your roof has developed leaks following rain or snow or is starting to show signs of age, our expert roofers know how to help. We offer premium shingles and roofing material for every job we complete. Plus, our shingles carry a lifetime guarantee and our labor has a 25-year warranty. McGlinch provides the most cost-effective options for your roofing needs from minor repairs to a full roof replacement. With over twenty parks boasting amenities such as tennis courts, baseball diamonds, playgrounds, and nature trails, the city of Birmingham in Oakland County, Michigan is a vibrant and prosperous community. Located on the north side of Metro Detroit the city of Birmingham offers the more than 20,000 residents an affluent urban area with easy access to major freeways and the airport. Near Birmingham, McGlinch has a reputation for excellent customer service and quality roof replacements. Because our roofing products are made from durable materials that will stand up to severe weather, they are the perfect solution for your new Birmingham roof. McGlinch is a family owned and operated business that you can trust! We hold an A+ rating from the local Better Business Bureau (BBB), and your roofer is always fully licensed and insured. We are committed to our customers and will provide you with a no-obligation free roofing estimate. Your roof replacement will be accurate as quoted with the highest quality of materials, and we complete your job on time. That’s the McGlinch promise! If this sounds like the roofing company and roof replacement services you have been looking for, don’t wait another day, call McGlinch & Sons today at (248) 987-6300!